Preference files are not cross-platform. I HATE it when a program chooses where to put files for me. I do NOT want the Lightroom cache on disk C: under Adobe/Lightroom in the Applications; I do NOT want my catalogs in My Documeents/My photos. Etc etc.. I have a disk dedicated to photos and want all catalogs etc there. It is criminal for system stability to use drive C: for cache and all that (I have a dedicated Temp drive that can be simply erased and that does not screw up the system disk). So: how do I change the default file locations? And: Adobe, please ask at setup where to put files and folders. I have read the response to Gena above, but still cannot figure this out. I have many photos on my hard drive and want to transfer them all (including the default location that LR goes to when opening the program) to my external hard drive. I have transferred all photos from my hard drive to my external hard drive…… but when I go to open a folder on the external hard drive via LR, there are no picture files inside, but the “type of files supported” box only indicates *.lrcat, *.lrdb and *.aglib. How do I get LR to recognize/open the picture files? I have changed this: Windows Vista – [systemdrive]Users[your username]AppDataLocalAdobeCameraRawCache to a seperate harddrive, but it don’t work. And now I can’t change it back cause the “AppData” folder doen’t show up in the “filehandling-site” in preference in Lightroom, when I click choose I only see folders to this point: Users[your username]. And I have asked to see hidden files on the PC. Thank you,I first saw the forum after I posted. i need to format my main drive and i’d obviously like this to be as painless as possible. i know i’ll keep all the presets with catalogue, i don’t care about the previews (can be re-rendered), but i’d like to keep my plugins and callibration profiles. 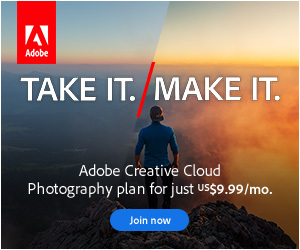 do i need to copy the files manually, or is there a way to make lightroom remember them as well? also, some of the plugins (for example plugin that exports to flickr or picasa) adds a new metadata field to keep track of the images already exported. i use this to filter my images and see the ones already exported. will this catalog field be kept on re-opening this particular catalog on freshly installed lightroom? I work from 3 different computers on the same network (office, study, laptop – all running XP and LR2) but never simultaneously. 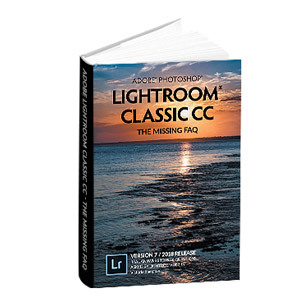 I want to set Lightroom on each PC so that all the catalogs, presets, previews, etc are common to all three. What’s the best way to do this? This sounds like you cannot use Adobe LR2 using a network file server where our central photo repository is located. When we try to install the catalog, it gives us the error that you cannot install the catalog on a network file server. This makes Adobe LR2 broken to us when we have photos on a central network server. Is there any plan to make catalogs available to be created on network file servers that contain photos? Preparing to move to a new computer. Your blog on default locations for presets for Windows XP shows:…….application DataAdobeLightroomPresets. However, on my system in the light room folder there are 6 files with the name presets (color presets, export presets, etc.) no file called just presets. Which preset files do I need to move to get the presets that I have created on my new computer? Or do I move the whole Lightroom folder? Thanks. Thank you. If I move the whole Lightroom folder with all the presets to an external hard drive into the same folder as my cataloge, and then select “store presets with cataloge” will LR2 find the presets or do I have to point LR to them somehow? Victoria, do you know what the default locations are for Win7 64-bit? I am about to try moving LR from an XP system to a new Windows 7 system and want to be sure I get it right! Please do post as well if you know of any special notes for moving to Win7 64-bit. Thanks. Thanks! I”ve also started a thread over at the LR forums on this topic. Thanks for all your great LR support! Great post! Thanks for this info. Needs updating for LR3, but otherwise is very good info.